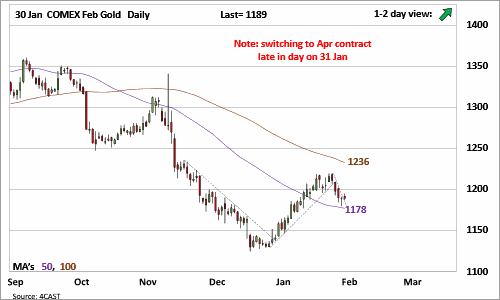 Gold continued to hold the 50-day MA and rallied as expected. 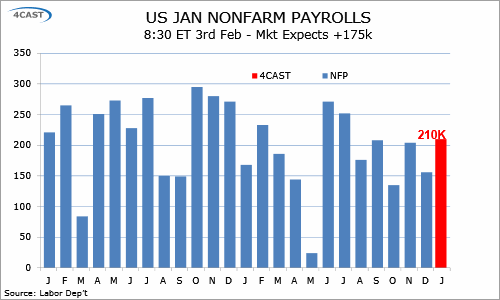 We switched from the Feb to the Apr contract on 31 Jan, but the result was the same; more rally action expected for the week. Our 1223/36 rally target zone was tested on 02 Feb.
USD/MXN tested our S/T bear target zone at 21.09/00 on the week and around the 50-day MA at 20.894 it could become a bit more 'tricky' now. We will now move to temporary neutral and wait to see if the mkt can close below the 50-day MA today before attempting any new bear view to 20.50 and lower. 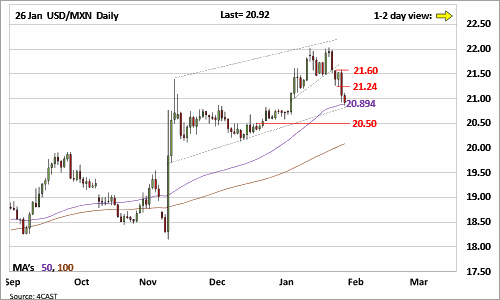 If the 50-day MA holds, there could be short covering to 21.24. 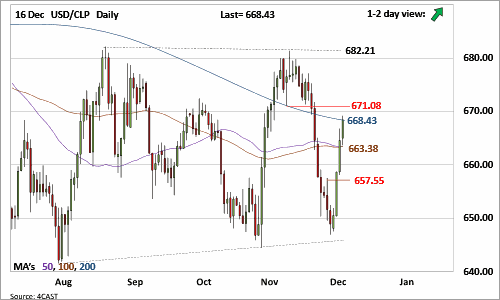 USD/CLP extended through our main MA target zone at 663.25/40 a bit sooner than expected and managed to test the 200-day MA at 668.43 amid the week’s very strong move upside. 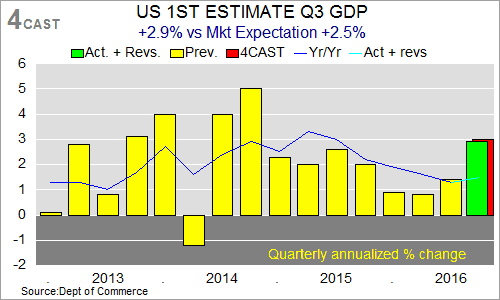 The 2.9% increase in Q3 GDP was a little above published consensus forecasts but probably close to where expectations had moved after the surprise fall in Sep's trade deficit. The broad message of the data was in line with what we had expected, the 2.9% rise in GDP and the 1.4% rise in final sales to domestic buyers are both 0.1% below our calls. In September 2015 Barclays and Roubini Global Economics (now 4CAST-RGE) collaborated to launch the Roubini Barclays Country Insights™ Indices, a family of tradable equity indices that aim to pick fundamentally strong countries. One year later four of the indices have outperformed their market benchmarks, with the fifth coming in par.